Dr. Steven J. Heine is Distinguished University Scholar and Professor of Social and Cultural Psychology at the University of British Columbia. Heine’s pioneering research has challenged key psychological assumptions in self-esteem, meaning, and the ways that people understand genetic constructs. He is the author of many acclaimed journal articles and books in the fields of social and cultural psychology including Cultural Psychology, the top-selling textbook in the field. 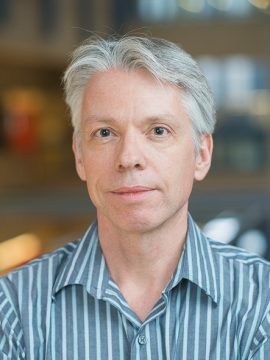 In 2016, he was elected as a Fellow of the Royal Society of Canada. Research interests include cultural psychology; the self; motivations; meaning; essentialistic thinking. Muthukrishna, M., Heine, S. J., Toyakawa, W., Hamamura, T., Kameda, T., & Henrich, J. (in press). Overconfidence is universal? Depends what you mean. PLoS ONE. Randles, D., Benjamin, R. F., Martens, J. P., & Heine, S. J. (in press). Searching for answers in an uncertain world: Meaning threats lead to increased working memory capacity. PloS ONE. Rutjens, B., Heine, S. J., Sutton, R., & Van Harreveld, F. (2018). Attitudes towards science. In J. Olson (Ed. ), Advances in Experimental Social Psychology, Vol. 56 (pp. 125-165). Cambridge, MA: Academic Press. Heine, S. J. (2017). DNA is Not Destiny: The Remarkable, Completely Misunderstood Relationship between You and Your Genes. New York: Norton. Heine, S. J., Dar-Nimrod, I., Cheung, B. Y., & Proulx, T. (2017). Essentially biased: Why people are fatalistic about genes. In J. Olson (Ed. ), Advances in Experimental Social Psychology, Vol. 55. (pp. 137-192). Cambridge, MA: Academic Press. Randles, D., Heine, S. J., Poulin, M., & Cohen-Silver, R. (2017). Experienced adversity in life is associated with polarized and affirmed political attitudes. Social Psychological and Personality Science, 8, 652-659. Heine, S. J. (2016). Cultural Psychology. 3rd Edition. New York: Norton. Google Scholar profile and citations. Dr. Heine is currently accepting graduate students.